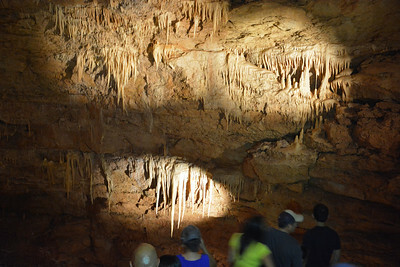 The Natural Bridge Caverns are the largest known commercial caverns in the state of Texas.The name was derived from the 20 m (65 foot) natural limestone slab bridge that spans the amphitheater setting of the cavern's entrance. 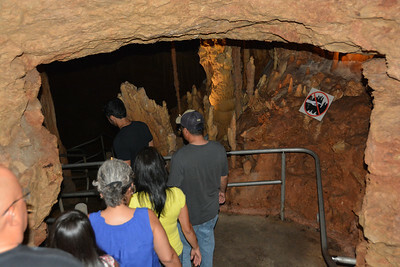 The span was left suspended when a sinkhole collapsed below it. 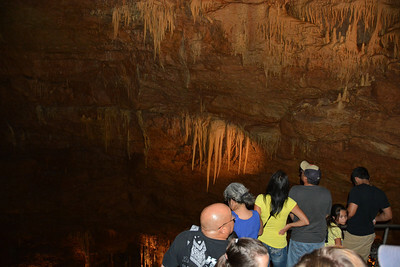 The caverns are located near the city of New Braunfels, Texas in the Texas Hill Country next to the Natural Bridge Wildlife Ranch, a drive-through wildlife safari park. 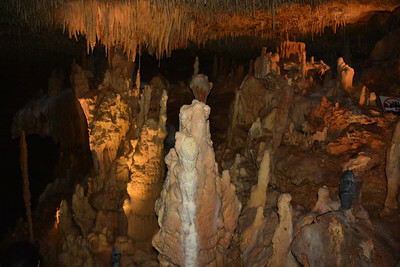 The caverns feature several unique speleothems and other geological formations. 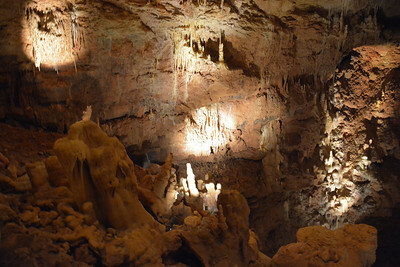 The temperature inside the cave is 21 degrees Celsius (70°F) year-round and the deepest part of the public tour is 64.3 m (211 feet) below the surface. 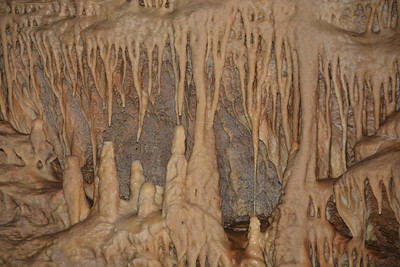 The caverns are still very active and growing. 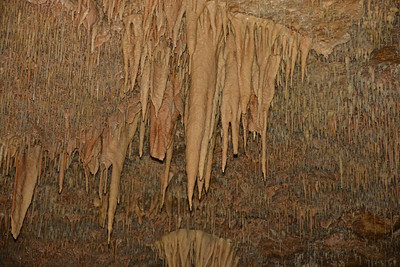 Water flows and drips constantly throughout, causing the formations to retain a waxy luster that can be seen in few caverns. 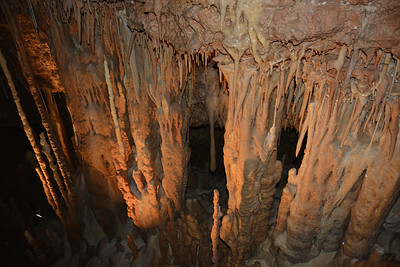 The caverns were discovered on March 27, 1960, by students Orion Knox Jr., Preston Knodell, Al Brandt and Joe Cantu from St. Mary's University in nearby San Antonio. 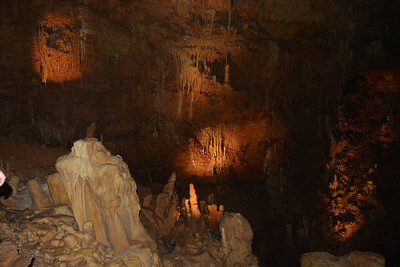 On their first trip into the caverns, the men discovered/explored just over a mile of passage. 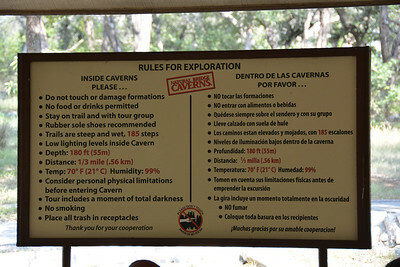 Subsequent explorations revealed 2 miles associated with what became known as the "North Cavern." 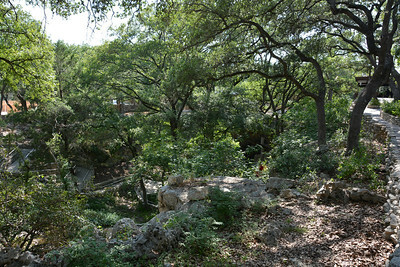 After discovery, Orion Knox Jr. assisted the landowners in obtaining information and suggestions for development. 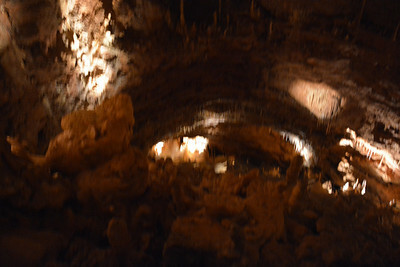 Mrs. Clara Wuest (the landowner), wanted to show the world the cave under her property. 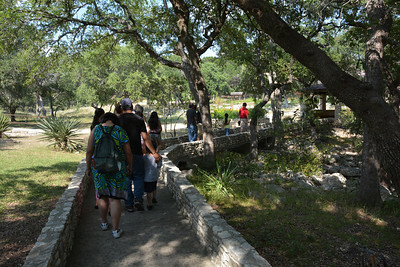 Orion approached both the National Park Service and the Texas Park System. 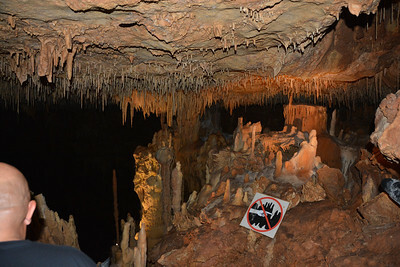 While both entities agreed that the cavern was substantial and merited development, both groups told the landowners that funds did not exist for their respective groups to undergo such an endeavor. 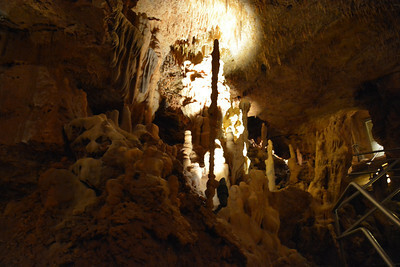 In 1968, speculation on a southern extent to the North Cavern was confirmed when test drilling indicated the presence of a large void beneath the surface. 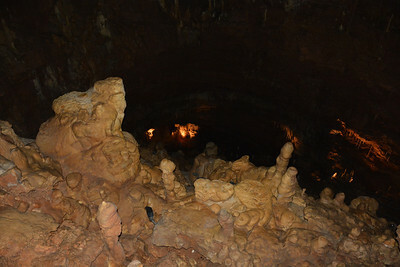 A camera was sent down the shaft and photographs revealed a large chamber filled with formations. 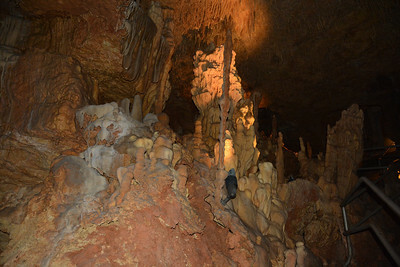 This original shaft was reamed out to 22 inches and three men were lowered into the ground. 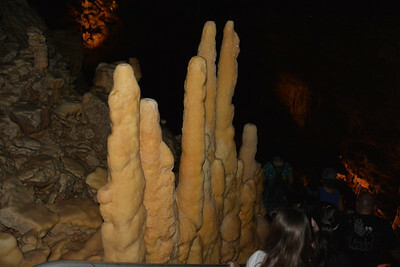 They discovered a large breakdown chamber and numerous formations. 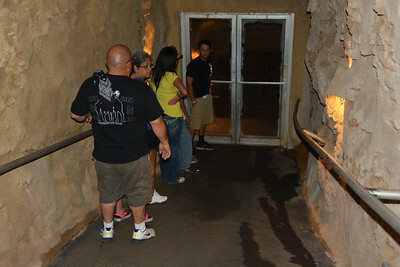 The first three men to enter this room were Jack Burch, Reggie Wuest, and Myles Kuykendall. 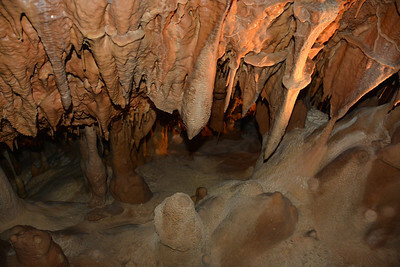 By combining the first two letters of each man's first name, they arrived at JAREMY, and thus this newly discovered room was called the Jaremy Room. 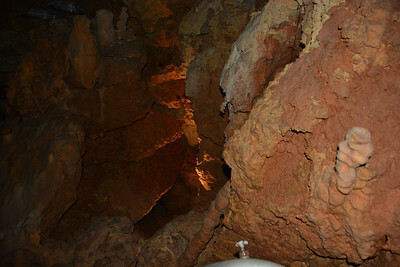 Further investigation near the bottom of the Jaremy Room revealed a strong likelihood that another passage existed beyond a pile of rocks and boulders. 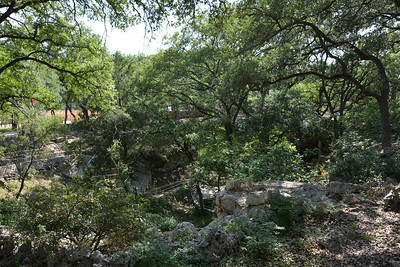 The drillers were once again brought out to the property and another exploratory shaft was sunk into the ground. 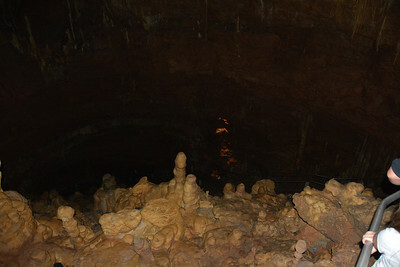 This shaft also penetrated a large void. 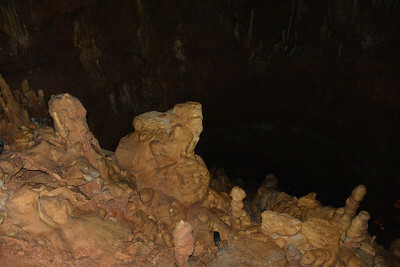 As before, the initial shaft was enlarged and people dropped down into the unknown. 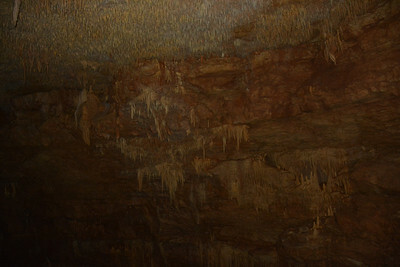 Explorations revealed another half-mile of cavern extending to the south. 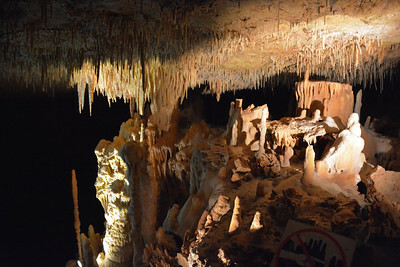 This then became known as the South Cavern. 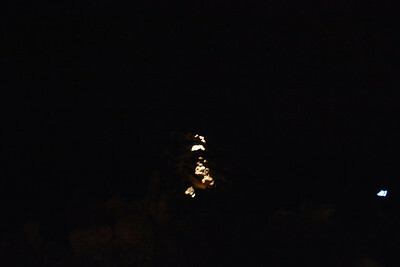 Exploration continues to date. 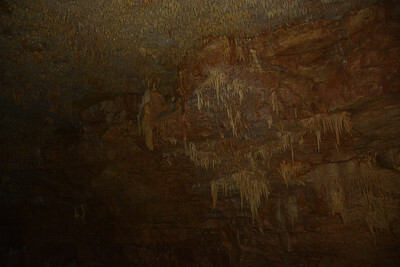 During the summer of 2005, several hundred feet were added to the current surveyed length of the cave. 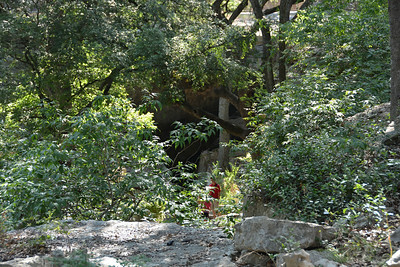 It is believed that as much as another mile could be added to the survey by just mapping the known passages which have yet been surveyed. 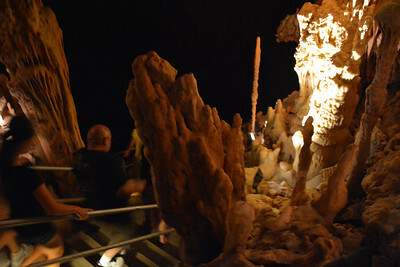 Additional unexplored leads exist in sections of the Discovery Passages (North Cavern).